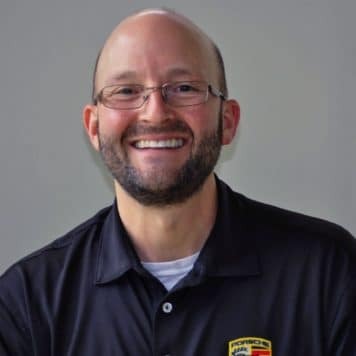 Scott has been in the automotive industry for 19 years and brings a substantial amount of business knowledge to the Porsche of Chattanooga team. Providing purchasing options that our clients can be confident about, Scott takes pride in having the ability to create a positive buying experience for each client. Scott also believes that building client relationships based on trust and honesty is the key to a successful business plan. Away from work, Scott enjoys traveling with his wife Becki of 26 years as well as spending time with family and friends. If the weather is good, he’ll likely be found on the golf course. Jerry has been in the business for quite some time, 34 years to be exact, which has allowed him to develop a well-known reputation of integrity and exceptional customer service in the Chattanooga area. “My goal is to treat every customer as I would like to be treated myself, with honesty and fairness above all else,” Jerry says. 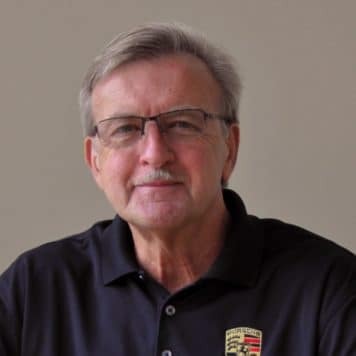 Throughout his career, Jerry has received numerous sales awards including a trip to Southern France in 2014 where he had the pleasure of driving a 911 Turbo S on the Paul Ricard Track as well as a portion of the Col de Turini in the French Alps. Jerry is a family man who enjoys spending time with his three children, two grandchildren (more on the way), and his dog Molly. 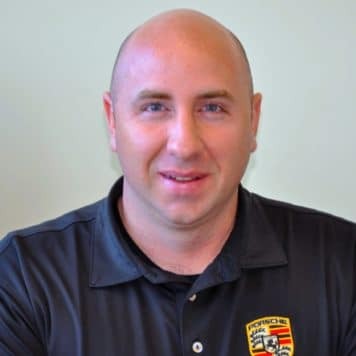 Zac brings an exciting level of professionalism and excitement to Porsche of Chattanooga. 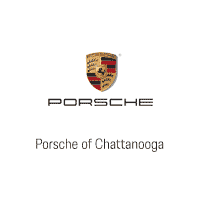 He has been with the Chattanooga Auto Square for over 7 years, and is excited about assisting new and existing clients alike with the Porsche brand. When not here, Zac is a music impresario, and enjoys spending time with his wife Karen and their many lovable dogs. 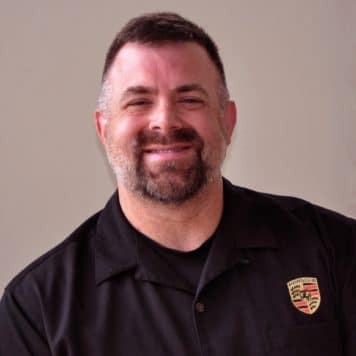 Wayne has been the parts manager for Porsche of Chattanooga since 2015. 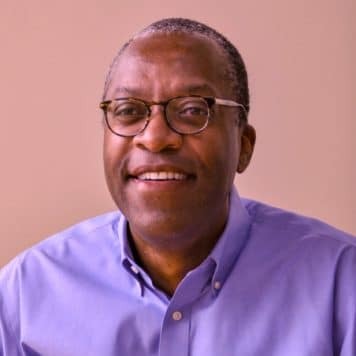 “I have roughly 30 years of experience in the automotive field and I look forward to the opportunity to assist you with any automotive needs!” Outside of the workplace, he enjoys kayaking, motorcycling, and cooking. 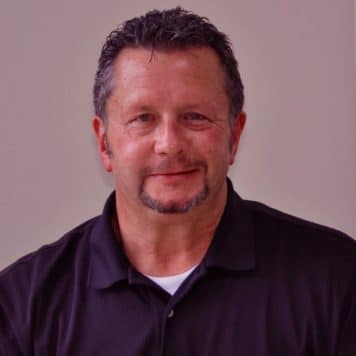 Chris has been in the auto industry for over 20 years now which has allowed him to gain a wealth of experience not only in regards to vehicles, but also in how to best serve a dealership’s client base. 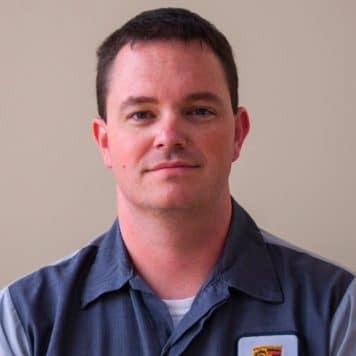 As Service Advisor, it is Chris’ responsibility to communicate between the customer and the service technicians in order to maintain an efficient, positive service experience. “I listen to the needs of our customers, and I try to provide them with a customized experience every time,” Chris says. Outside of work, Chris spends time enjoying a busy life with his wife and kids. Jacob received his associate’s degree in automotive diesel and industrial technology from The Universal Technical Institute in Phoenix, AZ. From there, he completed the Porsche Technology Apprenticeship Program (PTAP), and has been employed by Porsche since 2006. Today, Jacob completes everything from oil changes to major repairs at Porsche of Chattanooga. “I do my best to get the customer back on the road with quality workmanship and excellent customer service,” Jacob said. Outside of work, Jacob enjoys RC helicopters and cars, competitive driving, spirited drives in the surrounding mountains, watching WEC and IMSA sports car racing, and last but not least, spending time with his two dogs. With 17 years of title work experience, Renita is a valuable asset to our team. She is responsible for completing vehicle paper work and filing vehicle owner titles and registration. “One thing I provide the customer is assurance they will be taken care of. I have years of experience with title work, and I know what I’m doing.” Renita is a Chattanooga native and has been with the company since 2014. 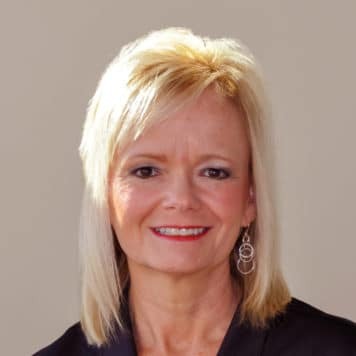 Lori has been with Porsche of Chattanooga for 12 years and has worked in the automotive industry for 28 years. Her abundance of experience makes her perfectly equipped to take the lead on all warranty related issues at our dealership. Furthermore, her caring and friendly personality adds to the quality customer service experience we strive to provide our customers. 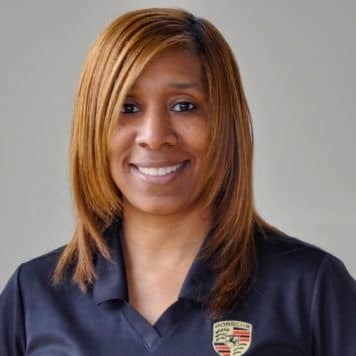 “I truly enjoy my work with Porsche of Chattanooga,” Lori says. “It has given me a chance to meet car enthusiasts from all over.” Lori lives in Cleveland, TN, where she enjoys spending time with her family, friends, and darling cat, Lola.